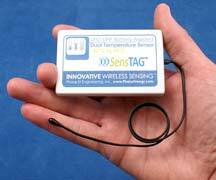 About RFID Wireless Data Loggers - Phase IV Engineering Inc.
HF and NFC Data Loggers – Phase IV’s Micro-T – the latest in RFID data loggers that are miniature, high temperature, high pressure, and low density. 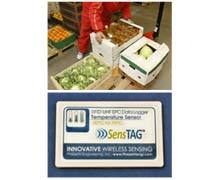 UHF EPC RFID Data loggers that offer long wireless read ranges and the use of common UHF EPC RFID readers. Active Transmitter Data Loggers – including Phase IV’s retort canning rotation and temperature data logger. Contact us for more information. Learn more about the advantages & disadvantages of the different technologies below. As seen in the demo video above. 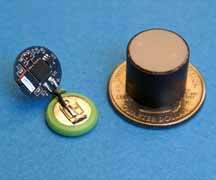 World’s smallest data logger – RFID interface eliminates bulky batteries. FDA-Approved plastic enclosure – ideal for use in food processing. 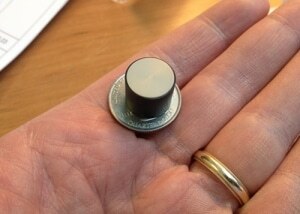 NFC interface (coming soon) – transmit data to a smart phone. High pressure & high temperature tolerant. Monitor in applications not possible with wireless transmissions. For example, metal containers or cans. Ideal for measuring temperature in food processing environments. Sensing in places where active sensors or receivers are too large. For example, very thin and narrow spaces. 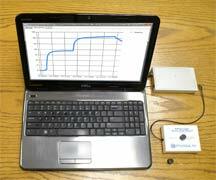 Long-term sensor monitoring in remote locations. Sometimes power, receivers, or computer connections are not always available. Can emulate objects that need to be monitored. 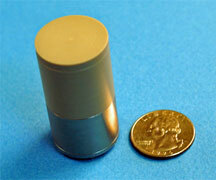 For example, the small size & density of Our Micro-T data logger is similar to of a typical food morsel. Monitor over very long distances. For example, shipping temperature-sensitive medicine or fresh produce to destinations that are hundreds of miles away. Sensor data is not seen in real time. If there is a problem with a sensor reading, it will not be seen until the data is downloaded, sometimes days or weeks after a sensor threshold is exceeded. Data download requires a special reader and a computer. Ultra-small sealed data loggers have a limited life. Since the battery is sealed inside the enclosure, there is no way to change it out. Mass readings are not possible. The sensors must be read one at a time by a dedicated person using a computer. RFID interface means a weaker signal resulting in a maximum transmission range of approximately 3 feet (1 meter).